My first few years of industrial fanaticism was filled mostly with bands from the Wax Trax label: Ministry and various side projects, Meat Beat Manifesto, Frontline Assembly, KMFDM, Front 242, and lots more. Plus there was Skinny Puppy, Nine Inch Nails, and probably a few other non-Wax Trax bands I’m forgetting. Although some of those bands came from other countries, collectively they defined what I considered to be the “domestic” sound. 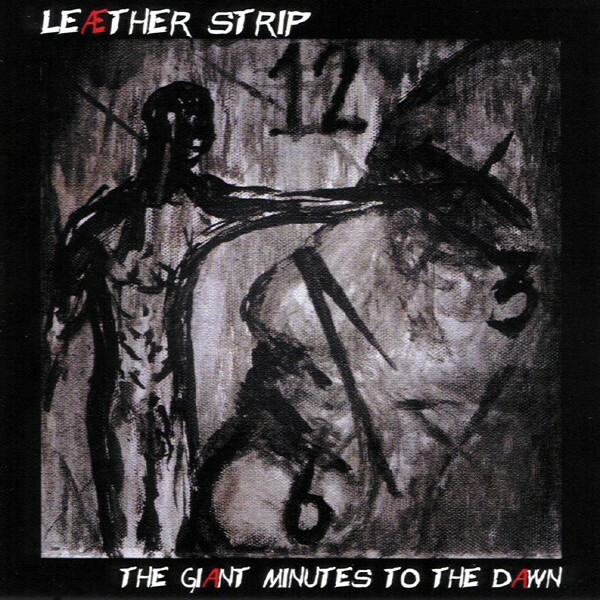 A friend and I frequently traded mix tapes as we were both expanding our knowledge of the genre, and on one of these tapes was a song that bowled me over and started a whole new phase of industrial fanaticism: Torment Me by Leather Strip. The synth sounds were more biting, the drums were bigger, the song structure quite different, and overall it was more aggressive than what I was used to hearing at the time. 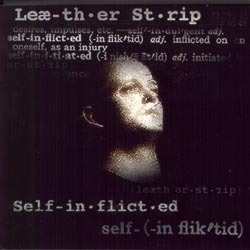 Compared to the whole of Leather Strip’s catalog it may not be one of Claus Larsen’s strongest and it may sound a bit primitive or dated compared to some of his later efforts, but it’s a song that still works well for me and is an impressive bit of songwriting with several different movements. This single song was responsible for my discovery of the Zoth Ommog label, but it made my hobby more expensive because many of those bands were only available as high-priced imports at the time. 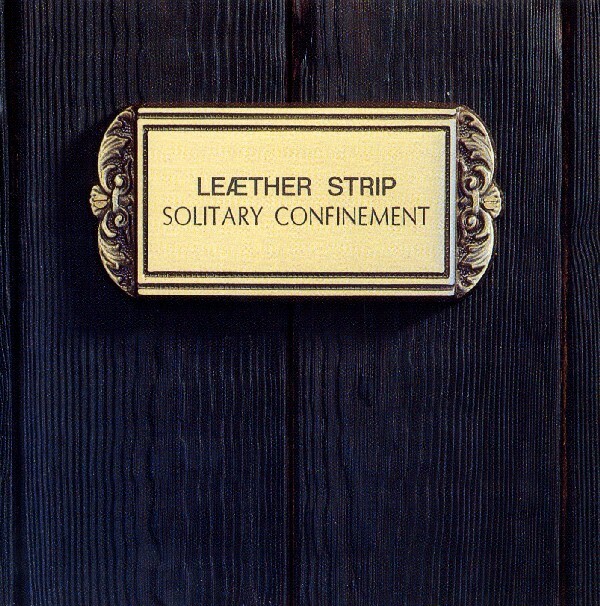 I don’t own every Leather Strip release, and that’s particularly true of his very prolific output since reappearing on the scene, so this is going to be an incomplete list. But I’m familiar with a significant chunk of the sizeable catalog, so I’ll rank what I know. Japanese Bodies ’92 — Amazing song, particularly the opening melodic riff before the proper bassline kicks in. The rest of the song actually isn’t as strong as that riff, but it’s still a good track. Hearing that riff in the Zoth Ommog megamix is always a treat. Torment Me — I’ve already mentioned this one, and it’s still a standout for me. Starting with the George Bush samples and then moving a biting synth bassline that sounds like two different riffs partially overlapping. Then there’s a proper bridge section with Claus yelling “Freedom!” followed by a chorus that gets stronger in the second half when the sounds become more layered. There’s then a somewhat slower section with a slower bass riff and different vocal pattern, and the song ends with another fast and completely different bassline. It may not sound so revolutionary, but the songwriting is really a cut above the ultra-repetitive one-riff songs that usually dominate the scene. Razor Blades ’92 — More great, aggressive basslines and characteristic electronic strings at times. Honorable Mention: Rotation — An instrumental track except for various vocal samples, this is a fun track with several cool riffs and sort of a funk feel at times. Also, What’s Hell Really Like is a fun, high-energy track. Worst Track: Choosing a worst track was harder than I thought — my memory of the album is that there was a lot I didn’t like, but on reviewing everything I found that most tracks aren’t all that bad. I’ll go with Touchdown Breakdown, largely because it represents the primitive sound and throaty vocals which made some of this stuff sound dated even when I first heard it. 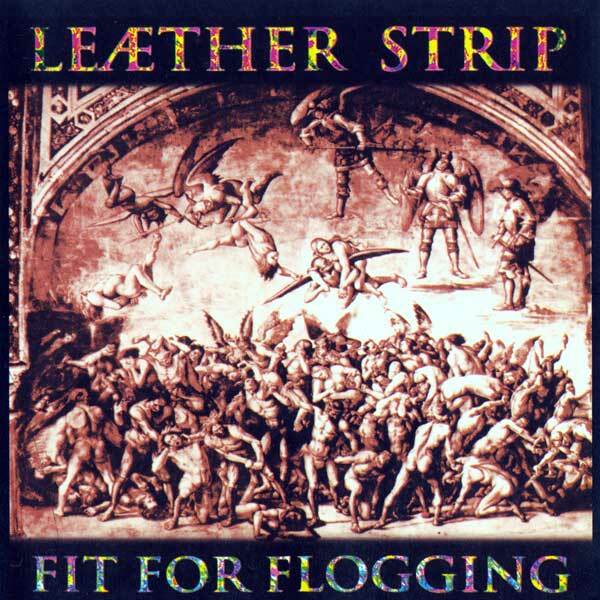 Fit for Flogging — The title track is amazingly catchy, the bassline and beat work together perfectly. 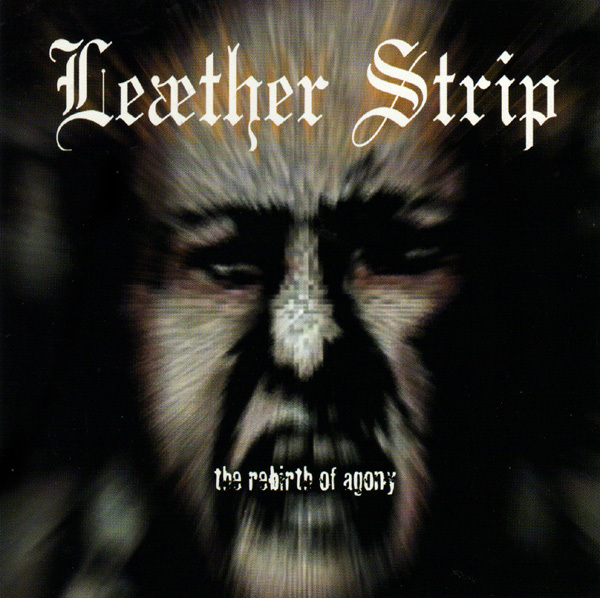 Except for the vocals, this song sounds a bit more upbeat and fun Leather Strip’s usual dark or aggressive sound. Antius — The music in the song sounds a bit ahead of its time, when compared to other offerings on this album. The main bass riff sounds like something Claus might have done a few albums later than this. Nosecandy — This song is mostly about the high-energy chorus, but what a great chorus! Honorable Mention: Black Gold is a great song, perhaps overall better than Nosecandy. It has a bit of that fun sensibility also found in Fit for Flogging. Worst Track: I just can’t get into Break My Back, with its uninteresting bass sound and early-sounding vocal delivery. Khomenin has a similar primitive sound which just doesn’t do much for me. Strap Me Down — Incredible riffs abound in this song, with lyrics that are understandable and fun to sing along with. 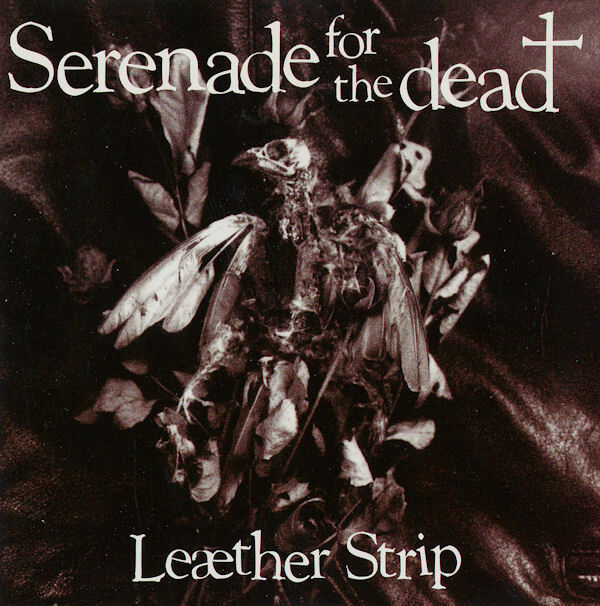 The melodic chorus is a highlight of the entire Leather Strip catalog, one of those my wife and I would sing together while barreling down the road with this album playing. I’ve listened to this one so much that sometimes the effect is a bit dulled, but it is still an absolute industrial classic. I Am Your Conscience — I love the fast, pounding verses, but again this song really comes alive with the amazing chorus. Another one that just begs you to sing along. Then the song winds down with haunting strings and a woman screaming for quite a long time — a bit disturbing, maybe, but somehow it works perfectly. Evil Speaks — Such a fun song, with the swing beat which is so unusual for this genre. I can’t get enough of the moment in the bassline where it descends in double time. The common thread among my favorites is the catchy, singable chorus, and this one is no exception. Honorable Mention: The opening track, Mortal Thoughts, has such an amazing bassline that I want to consider it among my favorites as well, but I don’t know which of the above three songs I’d be willing to bump in favor of this one. Also, at the beginning of Nothing Seen – Nothing Done, right after the vocal sample “Follow your spirit!”, the bassline that starts up there blows my mind every time. Worst Song: Red Meat Attraction has never done much for me, it just seems overly noisy and doesn’t have elements as catchy as what you find on the rest of the album. It’s not a bad song at all, just a lesser track among an album of greats. First off, the cover above is not the one I own. But the original cover, a smiling face with an upside-down cross cut into its forehead, has always seemed a bit offensive to me. I’m not sure why, since there are plenty other examples in the industrial scene of similar imagery in song lyrics if not on album covers, but I’ve just never cared for it. Another World — The bassline is absolutely delicious, especially the way the song starts out with the bass playing slowly and gradually speeding up to full tempo. Don’t Tame Your Soul — Somehow this song completely escaped my attention when I first heard this album, but it’s another high-energy Leather Strip classic with a powerful chorus. World’s End — For a few years I ran an internet radio station, and I’d never really noticed this song until a listener requested it. It’s a more laid back song, perhaps a ballad but I hesitate to call it that. A really powerful, emotional chorus is the highlight of this one. Honorable Mention: Depending on the day, I might list Turn To Stone among my three favorites in place of World’s End. It’s a very solid Leather Strip stomper. As is Prying Eyes. The White Disgrace is very high-energy but it is also a bit too noisy. And then We Will Follow deserves mention as an actual Leather Strip ballad worth hearing. Worst Track: I’ll go with Atheistic Sermon because, at over 11 minutes, it really just asks too much from the listener. I’m not qualified to choose three favorites from this album because, frankly, I listened to it once or twice and it has remained permanently shelved ever since. I know it has its fans, but I consider it to be a colossal mistake which killed the band’s momentum while it was at its height. Also, the band emerged from this dark orchestral, instrumental album irrevocably and fundamentally changed, and nothing they’ve released since this album has been of the same caliber as the albums I’ve already discussed. Lies to Tell – A strong Leather Strip track, as long as you can get past the singing. How Do I Know? – Incredible music in this one, it could have been a classic for the band if not for (you guessed it) the singing during the verses. Tell Me What to Do — The driving beat and bassline on this one are nice and the vocals seem more under control. Under My Control — This bouncy song is just fun, even though the vocals epitomize what I don’t like about the “new” Leather Strip sound. Understand My Torment — This song has shades of earlier Leather Strip, but it might just be that the vocals are more distorted here which masks problems I might otherwise have with the vocal delivery. Honorable Mention: There are songs on this album with interesting riffs but which don’t completely come together for me, such as Black Candle and Give It Back. I also think Face the Fire is a solid semi-ballad, perhaps it would replace one of my three favorites above depending on my mindset on a particular day. Worst Song: There isn’t really a song that stands out as much worse than the rest of the album, but maybe I’ll go with the X-Files Theme cover just because Claus singing the melody doesn’t work nearly as well as the original song. Hate and Fear — This is about as close to a classic Leather Strip song as I’ve heard since the band’s return. Powerful, aggressive, and the vocals don’t bother me much at all. Life is a Kick in the Balls — Absolutely love the the dark bassline and catchy beat in this song, and I even like the vocals in this one with their low-pitched, menacing delivery. However, the best part is the first couple minutes. After that it develops into more of a “normal” Leather Strip song and the magic from the opening minutes is somewhat lost. 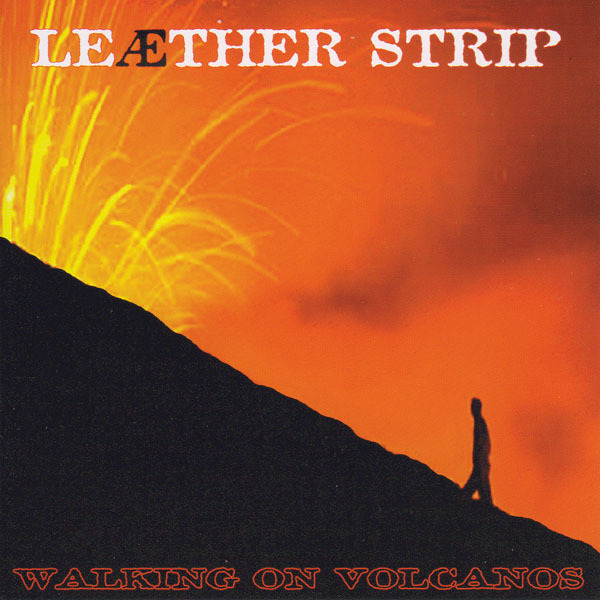 Walking on Volcanos — I’m not thrilled about the singing in the verses, but I think this song has a strong chorus and there’s sort of a soaring quality to the music. Honorable Mention: I Love the Sound of Acid Rain is a quirky track with a videogame sensibility to the music, and it’s fun to listen to. 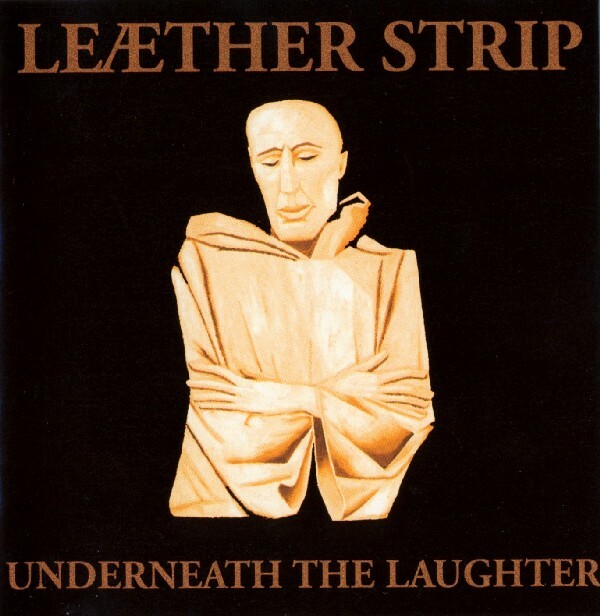 Worst Track: What If sounds a lot more like synthpop than I’d expect to hear from Leather Strip, which isn’t necessarily bad, but the singing is particularly bad here. Blah Blah Blah — An aggressive beat with a swing time beat reminiscent of Evil Speaks from Solitary Confinement, this sounds more like a classic Strip track than most of the album. Claus even sings the chorus of Fit For Flogging at the end, although it’s a “new style” vocal which is not as good how he used to sing it. Will the Sun Return — This almost sounds like a song that could have appeared on Underneath the Laughter, except the vocal delivery is not quite the same. Kill the Predator — Although this has some singing which totally kills the song for me, it has such an amazing musical moment that it’s a favorite anyway. Before the first verse starts, there’s an incredible melodic riff in the style of the classic Japanese Bodies, which is only enhanced when a bassline is added underneath it. But then the singing starts and the magic pretty much dies until later in the song when this excellent musical part appears again. Honorable Mention: Commotio is a fast, aggressive song with angry, distorted vocals. Perhaps I like it better than Kill the Predator overall, but that riff in Predator is probably my favorite moment on the entire album. Also, the song Go Ahead is a fairly strong semi-ballad although I have to make allowances for both the lyrics and the vocals. I also like Crucify Them, even though I feel like I shouldn’t for some reason. Worst Song: Seconds Last Forever is a song where I can see what Claus is going for, and the music isn’t bad for a ballad-like song, but he just doesn’t have the vocal chops to pull this off. Pain is Beautiful — Musically, this is easily one of the best songs I’ve heard from Claus since the return of Leather Strip. It’s slow tempo but definitely not a ballad, rather it’s aggressive and dark. The problem for me is, as is becoming a common refrain, the lyrics and the vocals. The lyrics are all about sado-masochism and are rather blunt about it, and I find them to be a bit unsettling overall. They’re delivered partly in a low growl which I like, but then also in the typical “new style” Leather Strip singing which I usually think sounds terrible. So while I do really like this song, I usually find myself listening past the lyrics and vocals and focusing on the cool music. It’s a skill I’ve developed over years of listening to various industrial songs with lyrics or vocal delivery that just don’t work for me. Global House Warming — A really strong track with a beat that has me bobbing my head. The usual caveat applies — the lyrics and vocals require a bit of leniency so that you don’t allow them to ruin the song. Amphetamine Boys — A fast, aggressive track with vocals that actually work for me better than usual. Honorable Mention: Beyond the Black Hills is a really strange track with a quirky chorus which seems like something I shouldn’t like, but somehow I really like the sorta haunted, dream-like delivery. Also, the title track The Hourglass is interesting. Oh, and Hate & Fear appears here as well — it was one of my favorites from Walking on Volcanos.